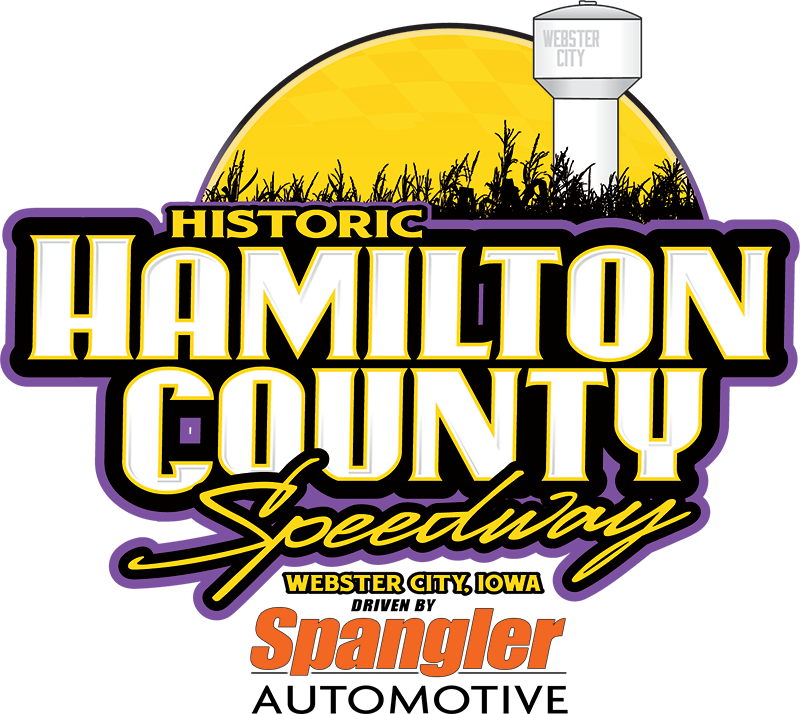 Officials at the Hamilton County Speedway in Webster City, Iowa, have announced that opening night for the 2018 racing season will happen Saturday, May 5, with an open practice on the preceding Wednesday, May 2, from 6-9 p.m. The grand opening on Saturday, May 5, will be the first of several Kids Night shows with bike races, a candy toss and a nickel dash for the young fans. 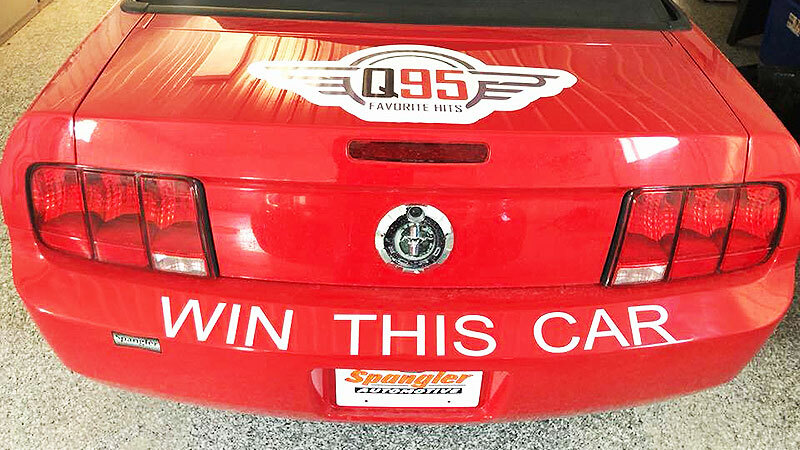 Plus, we will be having live radio remote with KQWC 95.7 FM and handing out two golden tickets for the Great Mustang Giveaway provided by Spangler Automotive in Webster City to take place on season champion night at the track. Racing on Saturday, May 5, will feature the Olsen Family USRA Modifieds, Seneca Foundry USRA Stock Cars, Stein Heating & Cooling USRA B-Mods, Diamond in the Rough USRA Hobby Stocks and USRA Tuners. The Malvern Bank SLMR Late Models have the night off. Pit gates open at 4:30 p.m.
Spectator gates open at 5:00 p.m. Drivers meeting at 6:25 p.m. Hot laps begin at 6:40 p.m. Originally slated for May 5, we will announce a new Modified Mania date at a later time. Practice night on Wednesday, May 2, is open to all classes from 6-9 p.m. Pit passes are $20 each and admission to the grandstands is free (no concessions on this night). We will be having live radio remote with KQWC 95.7 FM and handing out two golden tickets for the Great Mustang Giveaway provided by Spangler Automotive in Webster City. While many projects are complete, many are ongoing at the famed half-mile facility. Widening of back-stretch, new dirt from the back side of the corners, a completely remodeled VIP booth with a new furnace, air conditioning system and new flooring with countertops and tables set up to accommodate up to 40 people, bathrooms renovated with new flooring and paint, and a new 16 x 30-foot party deck to the southwest of the VIP booth that will provide awesome views are just some of the upgrades that are finished or underway. The Hamilton County Speedway is offering a limited number of all-access passes for 2018. Anybody can purchase one, and the all-access pass will get you into the grandstands, pit area and/or party deck for every event during the 2018 racing season. Only forty (40) all-access passes are available at a cost of $500. Call the track office at (515) 832-6000 to get yours today. In addition to a solid schedule of events, the track will provide the area’s most generous weekly payouts for grassroots racers and a points fund at year’s end that will reward drivers handsomely. The Hamilton County Speedway is the oldest speedway in the state of Iowa, opening in July 1910. In 1938, work began on the current location at the Hamilton County Fairgrounds. The semi-banked half-mile dirt track was completed in the spring of 1939, and the first races were held on the track in September of that year. The Hamilton County Speedway is located off of US 20 at exit 140, then 1.2 miles north, then 0.5 mile east on Bank St., then 0.4 mile south on Bluff St. For more information, call (515) 832-6000 or check out www.HamiltonCoSpeedway.com. You can also get social on Facebook at www.facebook.com/RaceWebsterCity or Twitter at www.twitter.com/HamiltonCoSpeed.